The environmentalists are not thrilled with the ETS. Good. But they are not unhappy enough for my liking. We can only truly be comfortable when the environmentalists are screaming bloody murder and assuring us that the world is about to end. Academic environmentalists are rather less happy, which is promising. For example the environmentalists at Hot Topic quote a few comments. They are from 'scientists' by the way, not dodgy environmentalist academics, just in case you wondered. The passing of today’s Climate Change Response amendment bill through the House is deeply disappointing. Every week, emerging climate science underlines the need for urgent action to cut emissions drastically, with developed countries especially needing to make cuts right now to avoid a global warming drift above 2 degrees, the guardrail against dangerous change. Developed countries especially? Is their CO2 a different colour perhaps? Every week? Surely this man is an environmentalist first, scientist second. As for 2 degrees, temperatures have not risen at all in the last 10 years. What is he talking about? I have a box of matches. All we need to do is scale it up this technology and we can all be warm. Climate change is our biggest environmental challenge. How we respond to it now will determine the future shape of our economy, environment, and communities. Many would argue that water, or the need to mine as much coal as possible as soon as possible, are greater environmental challenges. Our driving ambition has been to significantly reduce the cost of the previous government’s Emissions Trading Scheme for Kiwi households. If that were the case the legislation would simply have been repealed. In fact the driving ambition has been to work out some sort of compromise between the environmentalists and the rest of New Zealand. Why anyone would want to negotiate with an environmentalist is beyond me. It's a little like negotiating with terrorists about how many innocent people they can murder each year. National has delivered on our election promises and struck the right balance between our economic opportunities and our environmental responsibilities. We’ve made the scheme more workable for businesses, and halved the cost to families in our communities. Given that global warming is a scan, there are no responsibilities to reduce CO2 emissions. All of this hot air is just a conspiracy to reduce plant growth. It is a pointless cost and regulation increase. This Government is looking for pragmatic, practical ways to address climate change. As a trading nation, we cannot afford to get our response wrong. Our two biggest industries are agriculture and tourism and both rely on our "clean green image". An obvious way to address climate change, such as it is, is to live with it. It is absurd to believe that we can dial up the temperature we want on Earth. The fact that there has been no warming for 10 shares is proof enough that it is a scam. We can always do something in 10 years if the temperature starts increasing again, or something better than a directed computer model appears to confirm the fully funded fears of the environmental lobby. Our changes to the Emissions Trading Scheme ensure that Kiwis will be doing their fair share, while protecting our economy and our beautiful natural environment. Taking these in reverse order...The ETS does nothing for our beautiful natural environment, which after all largely depends on CO2 for its existence. It does not protect but in fact actively harms our economy. And finally there is no clear idea what our 'fair share' of this international farce really is. The ETS is a terrible mistake from a government which has been captured by environmentalists and doesn't know what is it talking about. What is wrong with supermarkets being difficult about handing out plastic bags? Well I have covered the arguments many times, but here is another one. We purchased a joint of meat the other day and it came in a plastic box with a film lid. In case were were unsure what it would look like when cooked and sliced (and covered in gravy), the supermarket printed a colour photo on the front. My point is that the material and cost in these outers is considerably more than a plastic bag, which is after all made from waste gas. Sainsburys (I am pleased to say) is not the villain of this piece - they happily provide plastic bags free of charge to those who want them. The worst offender in the UK seems to be M&S, which has the most packaging of any surpermarket on the planet, and yet charges 5p for a plastic bag. Shame. From my little surveys, most M&S staff seem to agree that it is 'silly'. I would call it a stunt, and I certainly hope that M&S shareholders are paying for this silly stunt in lose sales. Plastic bags do not harm the environment, they are hugely convenient, and those who seek to restrict their use are just trying to make our lives more difficult. The Weekend Herald reported in January that police collect about $50 million each year in speeding fines. This is more than 1 for every 6 drivers, every year. Most governments would take this as a sign that something is horribly wrong with the policy. Just to save them the time, I can explain that ticketing drivers for driving at 61 km/h in cities and towns when the de facto speed limit is 60 km/h is the problem. The LTSA is trying to enforce its 50 km/h limit which is often too slow for the conditions particularly on arterial roads where speed checking is undertaken. Most people naturally drive to the conditions and are upset when they are pinged for it. I know that this is the current policy because I have received two speeding tickets in the last 8 years, both at 61 km/h. Working out the average this is roughly my quota. Most people have received a speeding fine. My 65 year-old mother received one last year. Police are targeting good drivers who are likely to pay up, and $50m is not to be sniffed at. It pays our entire social welfare budget for almost a day. For many people this is the only contact they will have with the police, and it is negative. I mention that in case the police are worried that they have an image problem, and want to improve it. Dumping their contract with the anti-car LTSA would be start. The policy is also one reason for increasing traffic congestion, particularly in Christchurch, where increasing numbers of drivers choose to tootle around at 45km/h (in the middle of the road), just to be safe. It is time for a review. Michael Jackson Fan or Environmentalist? I found this article in The Times (London) interesting. The accepted PC view is that Michael Jackson is a plastic surgery freak and molests children. Therefore he has nothing to contribute to the world and no one should listen to his music. Definitely no one should go to his concerts, particularly if under the age of 12. What I found absolutely hilarious is that his London concerts sold out in no time. From an original 10 concerts he has now been forced to put on 45! Apart from the fact that 45 x 17,000 is a lot of people, it shows almost inhuman endurance to put on the same show 45 times. I can't claim to be a fan, but I have seen his dancing on TV and it is not for the lazy. Mr Jackson has inspired many take-offs and copy-cats (my favourite is probably Wierd Al's I'm Fat which you can see here). While many people in recent years have denied his talent, or said that it is waning, they are clearly wrong. So it seems his fan base is as large and dedicated as ever, if (presumably) a little older. So it is not socially acceptable to be an MJ fan, but many people are. How does this relate to environmentalism? Well my wife was at Borders the other day (the plastic bag ban place) and bought 7 books. She was challenged as to whether she wanted a plastic bag to which she replied yes - after all she had a handbag and three young children in tow. The staff member argued about charging for it and my wife rightly gave them stick for making her life more difficult through a silly environmentalist stunt. "But all the money goes to charity," they said. My wife replied that she gives lots of money to charity but they are ones of her own choosing. But most people wouldn't - most people would quietly suffer the inconvenience and try not to make a scene. They might even quietly mutter that it is wonderful to save the planet and that they think plastic bags are bad too. Then they would struggle out with the books, perhaps dropping some in a puddle, or losing one down the side of the car seat. We know that most people love plastic bags simply by the fact that they use them. Let's not make it socially unacceptable to complain when stores try to make our lives difficult for no environmental benefit worth measuring. Just to refresh your memory, you could have a look at previous posts Just Say Yes to Plastic Bags and Why Plastic Bags are Great. When you are denied a plastic bag, stand up for yourself and your fellow humans, and voice your concerns. In July, a tonne of carbon sold for €35, but today it fetches less than €9. Too bad, thinks the finance director, dump them anyway. If the politicians are still quacking about the climate in two years' time, we will buy them back, if we still have a business. Environmentalists must be loving this recession. It is reducing CO2 emissions, cooling the planet, getting cars off the road and encouraging poverty-stricken people to use public transport. If only the whole western world would just hurry up and collapse, the world would be safe at last. Meanwhile, the UK must make a huge decision. We have promised to shut down seven old coal plants by 2015 because they emit too much sulphur. These can supply 12 gigawatts, or a sixth of UK capacity. Ideally, we would fill the gap with nuclear power, but EDF has made it clear that the first new British nuke won't be ready until 2017, supplying less than 2 gigawatts. It is self-evident that we must carry on burning coal for the time being and politicians must stop telling lies about energy. They must begin to set plausible targets, explain their true cost and how they will be achieved. The impact of recession on industrial demand is one reason why the carbon price is weak. The other reason is credibility. I quite like sulphur, it is a nice yellow colour. It smells a bit, but I'd rather breath a bit of sulphur than have my lights turn off. It's tough being an environmentalist. Town hall chiefs are to hire warehouses to store a mountain of recycled rubbish for which there is no use and no market, it was revealed today. Tin cans, plastic bottles, paper, card and glass carefully sorted by families and homeowners will be held indefinitely in the new refuse mountain. Of course one would expect that in a recession the lease desirable materials will fall in value, like anything else. But in many cases, the price of recycling per tonne is falling from a small positive sum to a negative one. This means cities are paying people to pick it up, then paying people to use it. 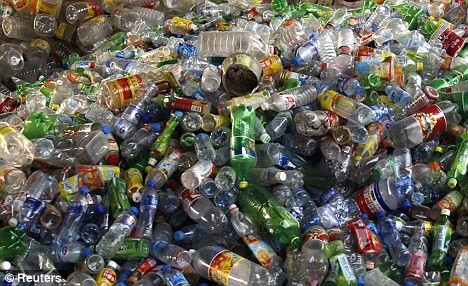 Price goes up: demand for recycling grows, so recycle more! Price goes down: demand for recycling drops, must try harder and redouble efforts to find a home for material, so recycle more! No, it is clear that recycling is a religious tenet rather than a policy created for good reason by a dispassionate observer of the economy. What should be done? Well first of all, all direct government involvement with recycling should cease. Then government departments / councils should announce the subsidies that they are paying to take the waste away so we can all form a view of whether it is worth the hassle or not. Shine a little light on our trash system. One Cubic Metre of Waste Each - Get Over It! As I may have mentioned, I feel that few will mourn the end of the silly rubbish free year stunt from a couple of Christchurch environmentalists. Their web site is here. I state, so what? After the compacting that they do before trucking to Kate Valley, this represents less than a single cubic meter of material. It is a remarkably small amount. This includes all the packaging, all the food waste, all the plastic bags, all the plastic water guns, all the other junk we don't need. It is truly astonishing that we should be bothered by this. With malaria still about, with a dodgy dictator striving for the world inflation record, with my local coffee shop charging $3.80 for a coffee, it is absolutely clear that there are much bigger priorities for the human race than the tiny amount of waste that each person generates. But that is, and has always been the problem with environmentalists. That is what the 'ists' on the end means. If they were bookists then no doubt we would be subjected to campaigns to get people to cover their books to prevent damage. Bookists would demand that we don't allow children to read books for fear of damage. Bookists would offer courses in providing good storage facilities for books. Bookists would campaign for harsh penalties for anyone who damaged a book, even in their own home, even by accident. And another thing: what is this obsession with removing anything which might actually rot from the landfill? I thought the idea was that landfills rot? If we turn all our food waste into soil then what is going to be left in the landfill? Why is it so important that nothing be allowed to rot in a landfill? I can't wait to find out. So good riddance to these silly environmentalists who haven't for one minute thought about the stupidity of their cause, and the selfishness of focusing on this rather than something that actually matters to human life. My message might sound harsh, but I mean it deeply: Get a life. * When I asked whether she would be more afraid of a man-eating tiger or her grandmother, I was unable to get more than just smile in response. I haven't told her grandmother yet. President Obama (I can say that now) has lashed out at the ordinary cars that American's drive. You know the ones. They have engines. They can tow stuff. They can take you and your friends to the burger joint in comfort even if you're really fat. Anyway, Mr Obama wants everyone to drive a Ford Focus. to show the courage needed to tackle global warming. Except as we've just heard, we have 1000 years of warm weather no matter what we do. Still, Mr Obama has god-like powers. And that nation would be? The article doesn't say. “Now is the time to make the tough choices,” he declared. Now is the time to pacify jealous European voters whose only chance of driving a decent car is on a trip to Florida. Well we didn't know about global warming until recently. Mr Obama has it around the wrong way - the environmentalists are the ones who hate science. Heaven forbid that they might run into an honest scientist! If this is the rhetoric which which he has become famous, then either the voters are stupid or the White House food is adling his brain. Luckily for the free world, Mr Obama is not a first class hypocrit. He wouldn't own one of these gas guzzlers and drive it around, or anything. No, Mr Obama probably owns a push bike and a Prius. Er, wait. Of course, automakers only make what their customers want, and it was soon revealed that Obama himself owned a 21 mpg Chrysler 300C - one of the brand's biggest, thirstiest, most powerful sedans making 340 HP from its 5.7-liter Hemi engine. Caught in his hypocrisy, Obama quickly bought a "green," 32 mpg hybrid Ford Escape. Phew, environmentalism is nothing if it is not hypocritical. The BBC has a very nice turn of phrase. A normal media outlet would have a headline like 'light bulbs to be banned', or 'incandescent bulbs to be banned in favour of CFL bulbs'. The government has rejected claims that partially-sighted people will suffer when new low energy light bulbs are introduced across the UK. Of course, the bulbs are not to be introduced. They are in fact already available. They have already been introduced. What the BBC means to say is that the common garden light bulb is to be un-introduced, i.e. banned. But the BBC is so steeped in environmentalism, and so beholden to environmentalists of every persuasion, that truth is hidden at every opportunity. At least our own craven media called a spade a spade when the bid to ban lightbulbs was going on in NZ. The UK is a very sick country indeed. Hastings Mayor Lawrence Yule, also president of Local Government NZ, said it would be an "incredibly inefficient" way to encourage recycling. That will explain the attraction, then. I have often thought that businesses could do well just by watching how the council does something, and then doing it the opposite way. Still the tax is only $10 a tonne - it is a silly distortion but could be worse. Spare a thought for the Europeans, who are so lost in environmentalism that they don't know which way is up. The National Audit Office (NAO) says England could miss European targets to halve the amount of biodegradable waste going to landfill by 2013. An EU directive passed in 1999 requires England to cut the amount of biodegradable waste - which includes food, paper and vegetation - sent to landfill by 50% on 1995 levels. If the "challenging" 2013 deadline is missed the EU is expected to levy fines on the UK as a whole and the government has said it will fine local authorities £150 a tonne if they fail to meet targets. You have to laugh at this sort of thing. At that price, it would be cheaper to FedEx the waste to Poland. People wonder why 'old' Europe is so sick, but it is silly rules like this, deliberately imposed without adequate thought, which make peoples' quality of life so awful. The rubbish free year is mercifully coming to a close. To celebrate, they are having a party with donated wine, beer and glasses. Perhaps drinking will help to erase the mental scars inflicted by this pointless exercise. But what about the rest of us, who have had to put up with it also? Do we get anything? The labels are made from card, so are easily recyclable, but unfortunately attaching them to the wetsuit was one of those little plastic tag things, which is about 5cm long, 2mm wide, probably as light as a feather and it is now our first official piece of rubbish. Kate Valley dump, which desperately needs more rubbish to fill it up so we can build one closer to Christchurch, has suffered. And staff at dozens of retail businesses large and small, have suffered these twits and their silly requests. But worst of all, this small effort to promote the idea that rubbish is a major problem is totally wrong-headed. Rubbish is not a major problem at all. Kate Valley is a tiny speck on the landscape. We could fit hundreds of them in Canterbury and much closer to Christchurch. That's thousands of years of rubbish. The effort to remove anything that rots from the dump is also dopey. The idea is that the dump rots and turns to earth (with junk amongst it) over time. The same dopey thinking leads people to complain that 'dumps don't rot'. Well of course they don't, because of the massive effort to keep rotting material out! So guys thanks for nothing. How about spend the next year promoting a cause that matters, like fixing up some of our crap schools, getting murderous crims off the streets or sorting out the parking at Christchurch airport? Everyone has heard of 50-year-old pig farms being forced to shut up shop by a 10-year-old subdivison down the road. Apparently mushrooms are not immune. obnoxious smells from its composting plant. Composting is a bad thing, by the way, except when done on a small scale by an environmentalist, or on a large scale by a council. remedy the concerns of neighbours." Probably an error of judgement. No amount of money will appease the environmentalists. But the real question is, why did these people move into a subdivision next to the mushroom joint? Did they fully expect to be able to use the RMA to shut it down? That's just not fair. One of the major shareholders in the plant is one Philip Burdon, magnate and former trade minister in Jim Bolger’s National Government – the same same government that imposed the Resource Management Act on us. Talk about being hoist by your own petard. Whaleoil offers his own diagnosis of why ACC's costs are running away from it. Here is an observation I want to make. Sporting accidents which require treatment are covered, to the extent that physiotherapists are paid 100% of the treatment cost for week after week after week. Surely these should be part of the normal health system? Then again, I suppose sportspeople want their treatment before they grow old and die. Having had a few injuries over the past 7 years I can say is it sometimes quite difficult to avoid filling out the ACC form. My assurances that it is 'minor' or that it is 'due to a pre-existing problem' cut no ice. Twice I have filled out the form, once because I had just paid a hefty ACC premium and wanted some money back, and a second time I tell myself as a favour to the physio. There used to be a $10 co-pay but even that is gone. If I had the time I suspect I could go to the physio free of charge every week for the rest of my life. The only time I would need to pay is when I miss an appointment - in that case ACC won't pay and I have to. It is a remarkable state of affairs when you pay only when you do not use a service. The whole concept of ACC is up for debate, but I will stay out of that. Just bring back the co-pays and exclude sporting injuries. People shot in the meat works car park should probably also find their own way to the hospital. Owen McShane weighs in today in the Herald, on Brian Rudman's piece. I will quote a few parts but you should read the whole thing yourself. plate and earthquake movements have far more impact. The temperature changes and sea level changes are so tiny that they are dwarfed by the annual 'noise' of the climate. This makes any serious determination difficult, because you are looking for statistically significant changes, in a small amount of data, which is really only reliable going back 30 years, and even then not from ground stations. Also, sea level rising has slowed, not increased as Rudman claims. their local sea levels are falling rather than rising. New Zealand councils have made wonderful place for Environmentalists to reside. With all their imagined environmental problems, and a few real ones, they create all sorts of strange regulations and rules. We need to have a clean-out in this area and try to get councils back to focussing on the here and now, and less on what might be based on computer models. of fossil fuels, are causing dangerous levels of global warming. No doubt their authors have been vilified as climate cranks, in the pay of oil companies, or worse. resulting from turning forestry into perennial pasture in New Zealand. or even whether the final outcome is positive or negative. Quite easily. We can adopt a 'precautionary principle' where even if we know absolutely nothing about anything. we still introduce regulations to protect against its imagined effects. The result is a bit like putting a legal framework around voodoo: black magic, strange beliefs and sharp pain if you are the victim. amendments had not been reported back to the select committee. The last government seems to have developed a reputation for itself, in forcing through legislation which had wide-ranging effects without much concern for getting all parties on board. In decreasing order of support, I suppose they were the Emissions trading scheme, the Electorial Finance Act and smacking. obscured the first, evaded the second, and ignored the third. I think in reality there will always be opposition, but certainly it must start with a non-partisan position. At the very least, if they are going to ram something through, they must be right about it. Otherwise the result will simply be undone anyway. depend on data and policies from the Northern Hemisphere. No, surely not a call for even more research into the effects of global warming! We are struggling to produce enough newsprint to keep up with these stories as it is. This is common with environmentalists. Having reached some particularly island in the lake of opinion, they look around at all the other islands representing different opinions and points of view, and declare that they are below the water line, beneath contempt. That's not going to get environmentalists anywhere. Very true, and well put. Any major government action on global warming will need solid support, careful analysis (including accurate cost/benefits) and a strong focus on the resulting economic impacts, particularly in the current economic climate. But no, they are sad, because New Zealand is apparently a joke in Europe. to suspend the emissions trading scheme. Poor old Mr Brunel has probably just managed to set himself up in Wellington, has been on the job less than a year, and has installed his money-printing press. He was hoping for safe harbour from the financial storms all around him. All he needed was for the Emissions Trading Scam to hold together for a little while longer so he could make his fortune! Mr Brunel may still get his cream, but for the moment there is a delay while the government decides whether the ETS is worth pursuing. (The answer is no, by the way). But I think Mr Brunel has this wrong, and he is the one who is a joke. And now that we are contemplating not sending $1 billion or so each year to Russia, New Zealand might be somewhat less of joke in the Eastern parts of Europe. say we should emulate are actively putting in place their own schemes. 'Actively putting in place' doesn't sound like they've actually done anything yet. That's European-speak for 'let's all have a nice cup of tea and talk about the war'. It is a bit hypocritical for Europeans to complain that little old New Zealand, responsible for less emissions than Essex, should refuse to be first into the economic slaughterhouse. Let's see their schemes first shall we, and then we can see who is the fool. Good luck in your new job, Nigel. Perhaps you could try something that doesn't rely on regulation. OK so now you are in charge of local government. Good luck, I wouldn't want that job. Auckland is happy now that Mr Banks has promised to limit spending growth. What about Christchurch, our second-largest city? We are saddled with the biggest bunch of spending lunatics a city has ever seen outside Haringey. They are ripping up our wonderful 14m wide streets and replacing them with narrow goat tracks at enormous cost. They are buying land from developers to fashion a city in their own image. They have so many staff they are busting out of their building and want to spend $20m or more on a new one. Our rubbish system is so screwed up they have given up trying to give us an inadequate number of bags (26 a year) and have moved on to filling our property with plastic bins at enormous cost. They built a landfill 75km away from the city. Our rates are so high we have had to put our properties on the market. We pay over $5000 for cheap ground water, worsening traffic, crazy building and land restrictions and a bunch of environmentalists which would better suit Greenpeace than a proper council. Our situation is so messed up we have two councils (ECAN and CCC). One day they fell out and sued each other in the courts, both at our cost! It has got beyond a joke. I'm laughing but I'm crying. Rodney, The regulations can reform themselves. The ETS can stew in its own hot air. The commerce can minister alone. Forget these other minor issues. The precautionary principle is an inherently silly concept, which is often mentioned by environmentalists. It holds that you should not do anything that might be dangerous, until proven safe. The principle is at its most dangerous when strictly applied. No child would ever learn to cross a road if this was applied. No doubt electricity, the large hadron collider, the Boeing 747, A2 milk and that new corkscrew I got the other day would all be banned. Few things can be proven safe on invention. After all, the new thing has only just come about, often using the pinnacle of technology in that area: almost by definition we don't have a higher pinnacle from which to view the first one and decide on its safety. It is worth thinking about the actual outcome of the precautionary principle. Take us back 100 years and work forward through each new advance in technology. Which would have been banned on discovery? Quite a lot, I'll warrant, including things like the green revolution. The result would be a massive increase in human suffering, overall. You can also see it in practice. For example, Europe has banned lead in solder, and it has been replaced with a number of dodgy compounds, the long term effects and properties of which are not well understood. The precautionary principle didn't apply in this case, or did it? Neither and both...the precautionary principle is an inherent contradiction since you don't know whether you are safer with what you have or safer to try something new. This business of 'don't do it until it has been proved safe' will be the death of us all. It needs to be seriously challenged and discredited. It seems that banning CFCs did no do the trick. It is possible that in fact we don't understand this phenomenon as well as we think. In fact there is not much in the way of reliable data before 1979 (about 20 years worth, from ground measurements) so we're not even sure what 'normal' is. about 1 per cent a year but there were annual variations. According to folklore, the ozone hole is a new thing and never happened before we started using fridges. We don't have data to prove it, so all we hope is that in fact the banning of CFCs will sort it out. The other point is that this 1% per year reduction in the amount of chemicals is bogus. The variation swamps this data. We were originally told that CFCs could last for years in the stratosphere, perhaps 12 years, and the hole dropped ozone down by perhaps 70%. 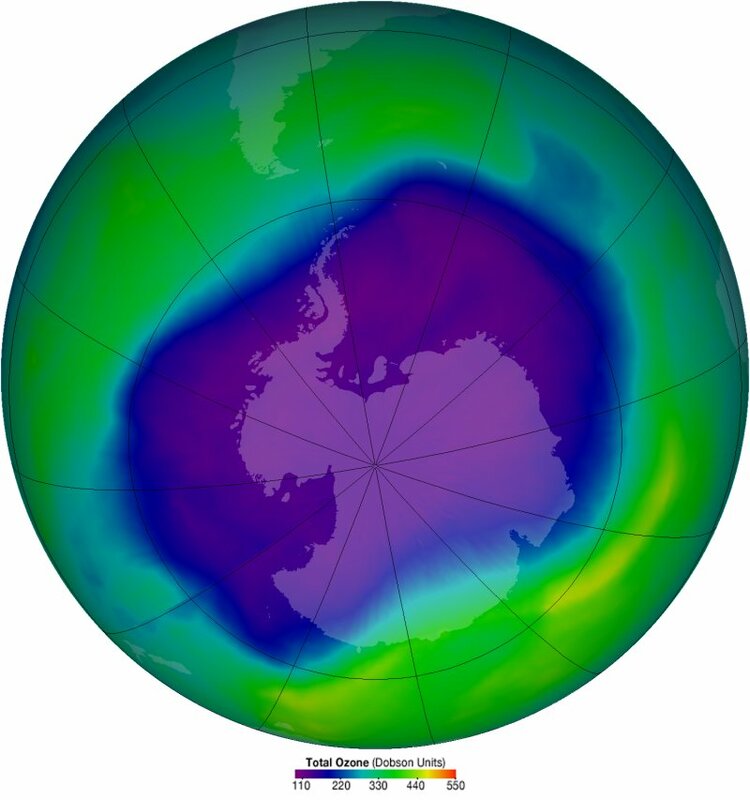 So you might hope to see a reduction in the ozone hole size by now. But nothing. 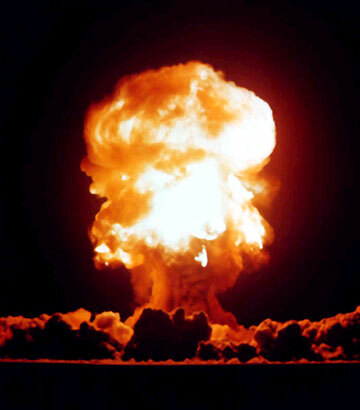 We are also told that a single chlorine atom can destroy a hundred ozone molecules. Or is it 1000? Or 10,000? Perhaps it is just a natural thing? You may have seen Whaleoil's shower video. Well now Whaleoil has posted this video featuring a 7-year-old star, short by his 10 year old sister. Kids and technology are a dangerous combination. They complain about environmentalists' attempts to regulate our showers. Anyway, do watch it, it's quite a laugh. The Electoral Commission wrote to Mr Hide yesterday, saying that under the act the jacket might be an "election advertisement" and therefore required an authorising statement. This is the chilling effect that we were told the act would have. Still, it is getting into summer - Mr Hide will be warm enough most days. Mr Hide said he did not know why the commission had taken so long to act, as the query was made in July. Well, it was winter then, and probably they felt sorry for him! “When tourists see that our rivers are so polluted it’s dangerous to swim in them, they are shocked because our advertising tells them that we are 100% Pure,” Dr Norman says. Now we must be living in different parts of New Zealand. Where I live (Christchurch) we have a little creek running through the place which is not polluted, so far as I can tell. The Press recently went on about pollution in the Avon, which I'm sure is a problem, but tourists happily punt up and down the thing, and we take the kids paddleboating sometimes. I'm not aware of any complaints. Could be better, will be soon, no doubt. Get over it. We spend a reasonable amount of time near the Okuku river. It has certainly been full of rubbish lately, but not man-made. The floods have brought down masses of mud, trees and foliage. It certainly isn't polluted at all so far as I can tell. We drink the water out of the river without any ill effects (the brain damage, colon cancer and septicemia are unrelated and I have a medical opinion to prove it :-). So what planet is this guy on? He is supposed to be the leader of a political party which (sadly) heavily influences our lives in New Zealand. And he is spouting this sort of rubbish. “When WWF publishes information showing that New Zealand has one of the biggest per capita environmental footprints in the world, it undermines the 100% Pure advertising campaign being run by Tourism NZ. It says a lot more about the WWF than about us. These are the lunatics that give less mad environmentalists a bad name. What is an environmental footprint anyway? “National’s plan to gut the Resource Management Act so that developers can destroy the natural environment even faster than they currently are will result in more environmental degradation than we’ve seen already. The RMA has largely been a disaster for New Zealand business, for our power generation and for our economy. If the RMA even as it stands is not enough to avoid 'environmental degradation' then I doubt anything is. I didn't know that National was planning to 'gut' it, but it certainly needs some work. And why would anyone want to destroy the natural environment? Does anyone really believe that National wants to do that? Who would gain from 'destroying the natural environment'? The environmentalists' desire to turn New Zealand into a tourist Mecca and make the rest of us leave doesn't do it for me. New Zealand needs a strong economy based not just on appealing to the transient fads of international tourists, but on successful businesses in other industries also. For that, we will need capital, electricity, roads, space AND showers. Kiwiblog has done a worthy job and written out a list of all the things that the environmentalists want to ban - a total of 85 items. We have at least 2000 years worth of coal in the ground, worth perhaps 1000 billion dollars. That little item could mean the difference between riches and ruin. We urgently need to mine as much coal as we possibly can, and soon, before the world loses interest in it. UPDATE: I have to agree with Whaleoil on this. Given the mess the environmentalists have got this country into, it is an idea worthy of serious consideration. I think it might be simply easier to ban the Greens.